We asked three longtime car experts what to do when you buy a used car. Eric Friedman is the Director of Montgomery County’s Office of Consumer Protection. John Creel is a retired automotive crimes investigator with 30 years of experience. 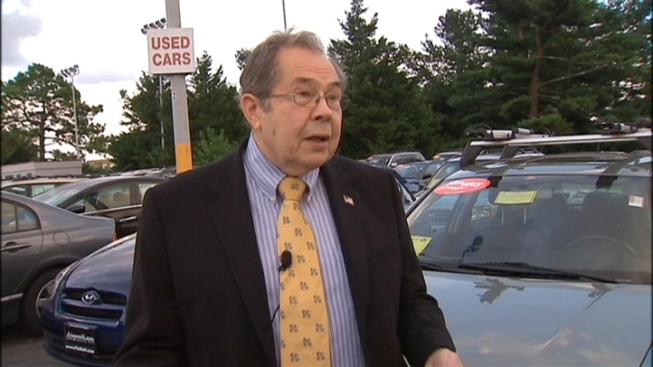 Jack Fitzgerald is Chairman of Fitzgerald Automalls and has been in the dealership business for more than 40 years. Fitzgerald also gave the I-Team his Appraisal Evaluation & Offer to Purchase for you to use. Take a look at the “customer questions” section. All of our experts say you should ask these questions when you look at any used car. Get the answers in writing. Go to www.carfax.com or other car vehicle history sites. The experts say it may not have the vehicle’s complete history but it should give you some helpful information about the vehicle accident and insurance history. Eric Friedman says legitimate dealers should be willing to offer you a reasonable warranty. “Make sure you can get some recourse if something goes wrong,” he says. Friedman says if you find a listing on Craigslist or other Internet classified ad, copy and paste the phone number into the search box to see if the number is linked to other car ads. “If they are selling multiple cars,” Friedman says, “clearly that’s a red flag it’s not their private car” and they may be an illegal curbstoner. Friedman and Creel say you should always ask to see the seller’s driver’s license to see if it matches the name and address on the car’s title. “If the person’s name is different from the name of the person selling it to you, that’s a red flag,” says Friedman. Friedman says many people make a mistake in thinking they can’t get a loan to buy a better car and end up settling for a junker. He says credit unions are often an overlooked source of legitimate financing. All the experts say if something does go wrong, file a complaint with your local office of consumer affairs, the Motor Vehicle Administration or state department of motor vehicles and the state Attorney General’s Office.